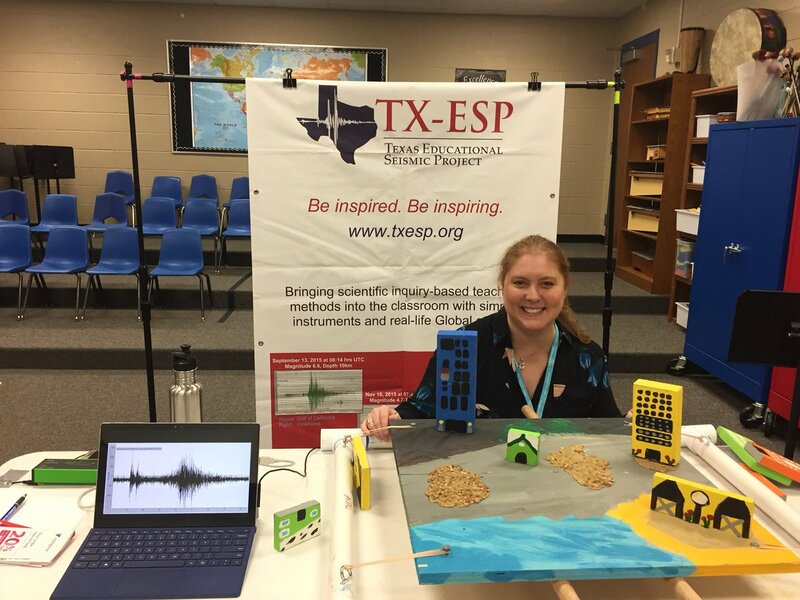 The TXESP team proposes to operate an educational seismograph at your school and provide curriculum resources based on earthquakes recorded on that seismograph. TXESP activities address Texas State Requirements (TEKS) and the Next Generation of Science Standards. The exercises associated with these in-class seismographs teach students not only about seismology and earthquakes, but also about plate tectonics, earthquakes, volcanoes, and mountain building, as well as about how the forces of nature shape the Earth’s surface. Furthermore, our seismology curriculum also teaches students about various aspects of physics, such as energy, mechanics, and waves. In addition to being on site at the schools, TXESP seismology and the science education team members will monitor each school’s seismograph remotely to ensure accurate functioning and identification of seismic signals. The science teachers will be trained and mentored on site by accomplished scientists and science educators, and will be assisted with conducting lab experiments and introducing new science curriculum. Overseen by our research team, students will study, record, and analyze natural phenomena through hands-on experience, explore and test student-led concepts while developing critical writing skills. We have found that students and teachers are enthusiastic about sharing their earthquake monitoring experiences with their friends, their family members, neighbors, and students in other classes, effectively including entire school systems and communities in monitoring earthquakes through online collaboration sessions, local bulletin board postings, and engaging discussions at home.